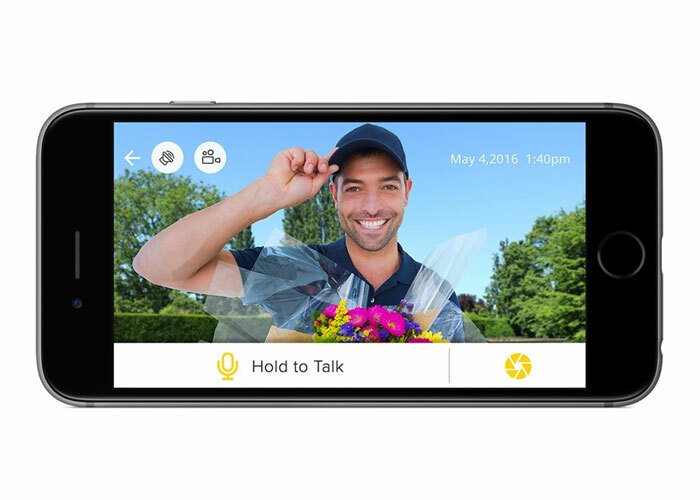 See and speak to whoever’s at your door, from anywhere, using your smartphone. 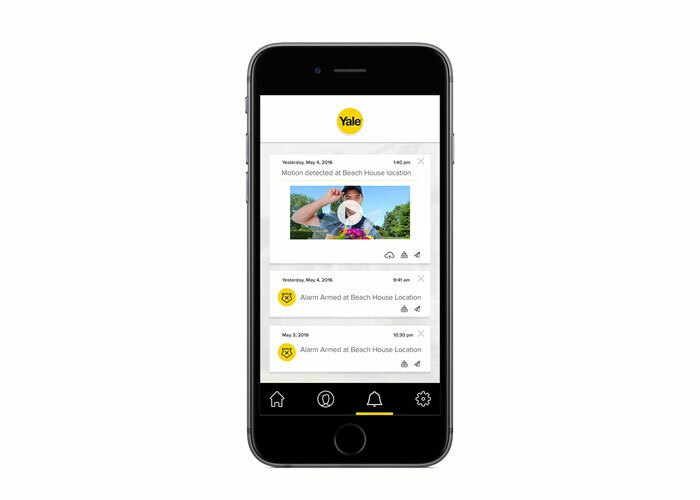 Take a look and see who’s there with live video, and engage in two-way communication to let your visitor know when you’ll be back. Scroll through a timeline feed of all the recent activity from your front door. Photos and images save to the Micro SD card with no fees. 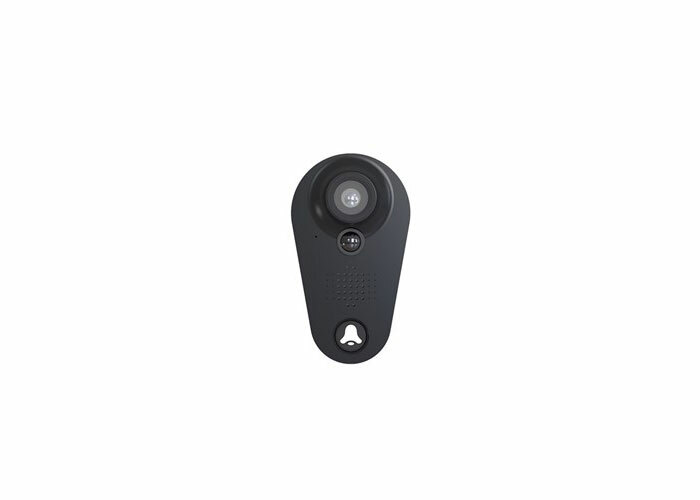 Easily change your camera, motion detector and notification settings in the app. Just one 9/16″ hole and a screwdriver is all it takes to mount Look. 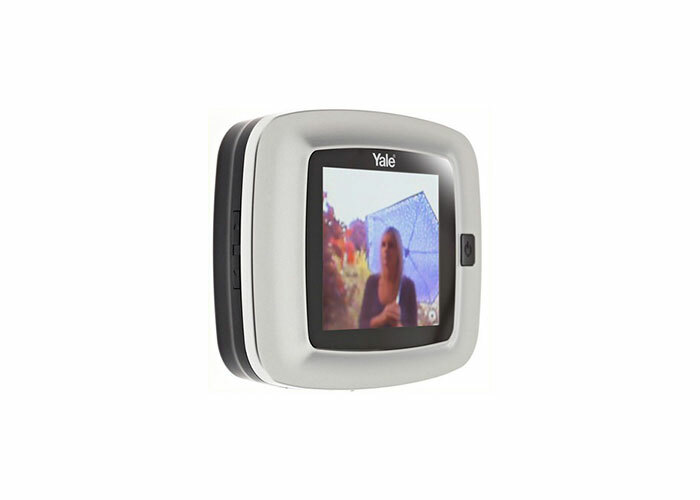 Color Monitor With a wide angle view, the monitor can be easily seen by any age. Stores thousands of images and videos without monthly fees. 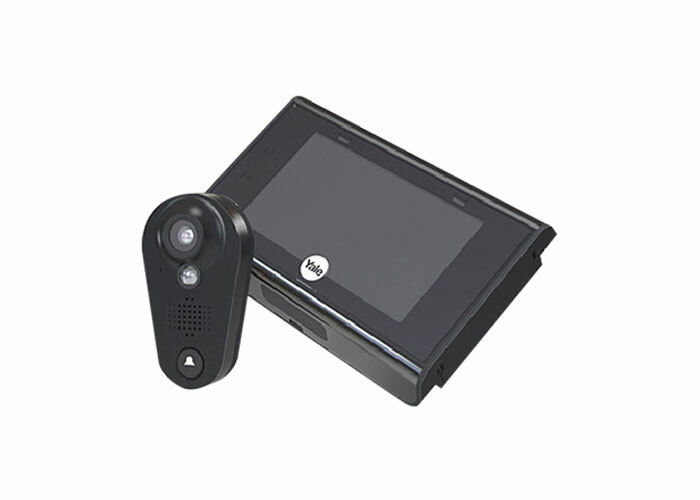 Display Button Take a look outside by pressing the easy to reach button.